1Burn and Wound Healing Research Center, Shiraz University of Medical Science, Shiraz, Iran. Department of Pharmacology, School of Medicine, Shiraz University of Medical Sciences Shiraz, Iran. 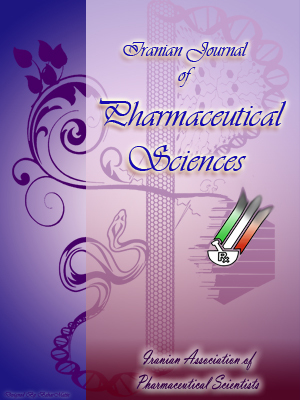 2Student Research Committee, Pharmacology school, Shiraz University of Medical Sciences, Shiraz, Iran. 4Laboratory Animals Center, Shiraz University of Medical Sciences Shiraz, Iran. 5Student Research Committee, Dental School, Shiraz University of Medical Sciences, Shiraz, Iran. 6Department of Pathology, Shiraz University of Medical Sciences, Shiraz, Iran. 7Pharmaceutical Sciences Research Center, Shiraz University of Medical Sciences, Shiraz, Iran. 8Stem Cells Technology Research Center, Shiraz University of Medical Sciences, Shiraz, Iran. 9Department of Clinical Studies, School of Veterinary Medicine, Shiraz University, Iran. In this study, we compared the effects of Calendula and Alpha ointment in the treatment of burn wounds and compare its results with silver sulfadiazine (SSD). Seventy-five male Sprague-Dawley rats were divided into five groups, and similar burn ulcers were produced on anterior surface of thigh of rats. The first group of rats no treatment was applied, base gel was applied topically to group II, in groups III-V, Alpha, SSD and Calendula preparations were applied, respectively. Wound healing, contraction and histopathological evaluation were evaluated at the end of 7, 14, and 21 days. Alpha ointment was equally effective as Calendula gel, and had better efficacy compared to SSD for all markers of wound healing at days of 7, 14 and 21. Alpha and Calendula preparations are less expensive drugs and significantly improve the quality of wound healing and scar formation and are more appropriate treatment choices than SSD. Therefore, we recommend them as alternative to SSD, especially in patients with low economical backgrounds or in those who show adverse reactions to SSD.